What a difference a week makes. Last week had the most releases of the year and this week only 14 titles come out. One of them is a real gem though. Chrono Trigger DS comes out this week!!! I am almost ashamed to admit it but I've never played all the way through Chrono Trigger. I plan to fix that this year though. 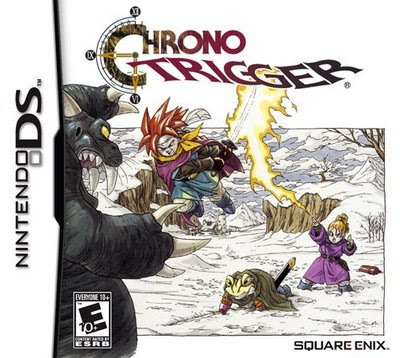 Chrono Trigger will probably sell really well so I don't think it will be a collectible, but it is supposed to be one of the best RPG's of all time. Another game coming out that will definitely not be collectible but I am really looking forward to it is Personal Cooking Trainer on the Nintendo DS. I enjoy cooking and already have tons of cook books, but an interactive cookbook will be a great addition. I plan on cooking on of the family meals this Thanksgiving using the DS exclusively. Disaster Report for PS2? Didn't that come out 5 years ago? Haha. Thanks Jim. The query I ran grabbed an extra item from the database. Thanks for pointing it out. Nice to know my readers are paying attention and catching my mistakes.